Whether it be a Euro 2006 sticker book underneath your bed, a Manchester United shrine in your office or a magazine cut out in your wife’s knicker draw – David Beckham is undoubtedly one of footballs ultimate poster boys. Along with being one of the nation’s sweethearts, ‘Golden Balls’ enjoyed an illustrious, 19-year career which was spent at some of the worlds most recognised clubs. This can often be forgotten amidst the glamorous, celebrity lifestyle preyed upon by the British press over the years. Since graduating from the famous class of ’92 with Manchester United, the midfielder went on to collect 523 senior club appearances for the likes of Real Madrid, AC Milan and LA Galaxy, before his retirement in 2013. 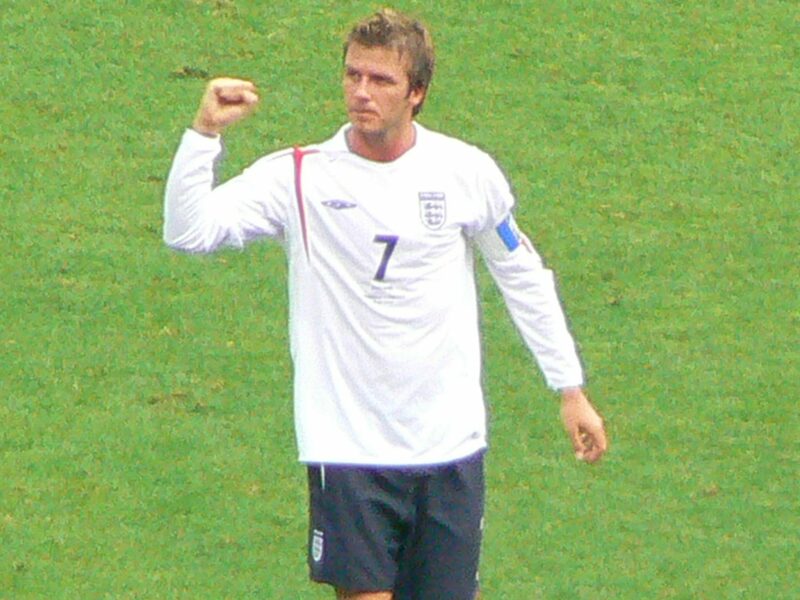 As part of England’s ‘golden generation’, Beckham also made 115 appearances for the Three Lions, as well as scoring 17 goals – some which will go down in English sporting history. Credited for his sensational crossing, precise passing and his wicked ability from dead ball situations, there is little wonder that ‘Becks’ is held in as high a regard as he is by both fans and his fellow professionals, here are some of their opinions on the iconic winger. “David Beckham is up there with the best passers I’ve ever played with; over a long distance he was ‘radar foot’. Some left footers look beautiful when they pass the ball. His right foot was like that – it even sounded nice when he hit the ball. “The Prime Minister’s view is that David Beckham has been an outstanding footballer throughout his career, but not only that, he has been a brilliant ambassador for this country, not least if we remember all the work he did on helping us win London 2012. The Prime Minister’s message would simply be to say: congratulations on a fantastic career. ‘I would like to pay tribute to David for his outstanding contribution to English football. He has been such a great ambassador for the game at home and abroad and was a tremendous performer for his clubs and England. ‘David always played with the greatest passion and became an iconic figure in our national game.